Fall is in the air. 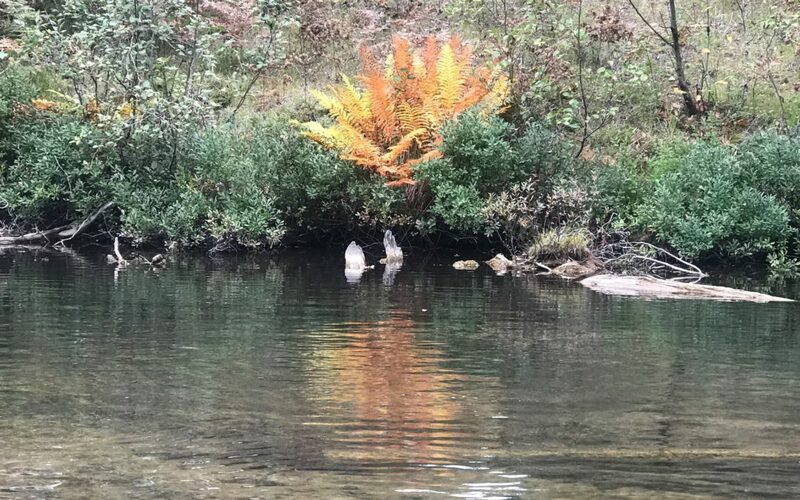 The cottonwoods are dropping leaves in the lodge parking lot, the trout are chasing streamers, the fall olives are hatching, and the rivers are empty. It has been a very fun week, equal parts summer and fall. Three nights ago I was mouse fishing. Today — 60 degrees and cloudy — was a day for streamers. There have been good afternoon rises up high in the river system to two sizes of blue wing olives as well as ants. 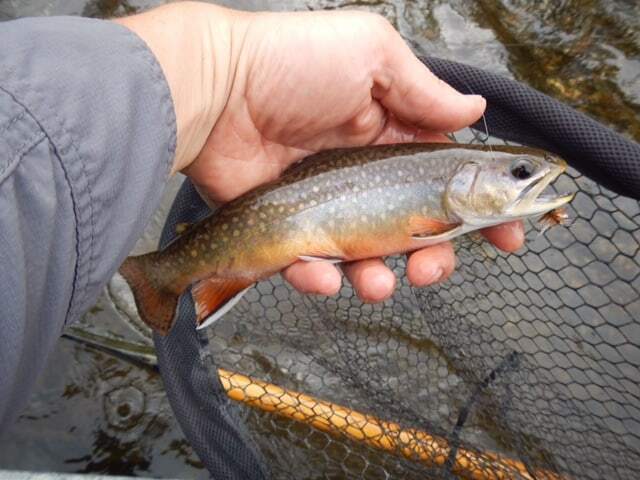 The brook trout are in pods (several times we had groups of three or more chase the streamer today) and will soon to be spawning. I spent all morning chasing my dogs, who were presumably chasing grouse. This is a tough report to write because we are forecasted to get rain tomorrow and so conditions could change wildly and for the better. 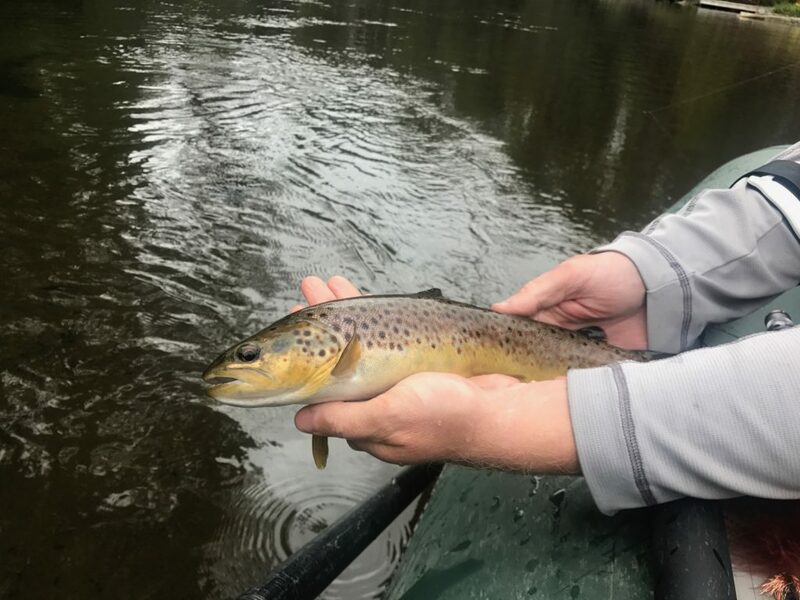 Nothing perks up a September trout stream like a day of rain. Plan on fishing 2-4″ streamers on floating lines with aggressive retrieves. 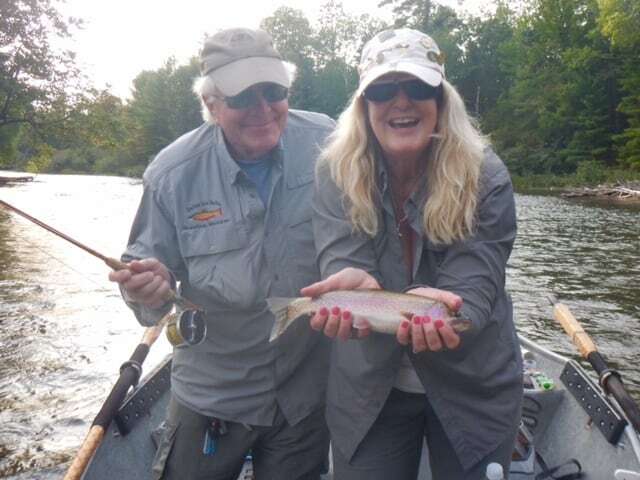 Trout in September will chase streamers that the same trout in March won’t acknowledge. Today a 2″ Kreelex minnow moved more fish — and more big fish — than a 3″ Kreelex minnow. The best was a real dandy that appeared from beneath a small bush, did three circles around the fly, and disappeared. Imagine looking up at a blue sky and seeing pteranodon. That was what the effect said trout had on my psyche. It has been/was a great summer. This year my 7 year-old became a trout angler, and nothing solidified it more than this past week. He logged onto Youtube himself, found a video of a guy tying a mouse, tied a mouse himself, and what else could I do but take him night fishing? It would be a short float, and Aaron, our five year old, decided he had to go as well, meaning mom had to go, which meant the riverboat was pretty full and not exactly stealthy. 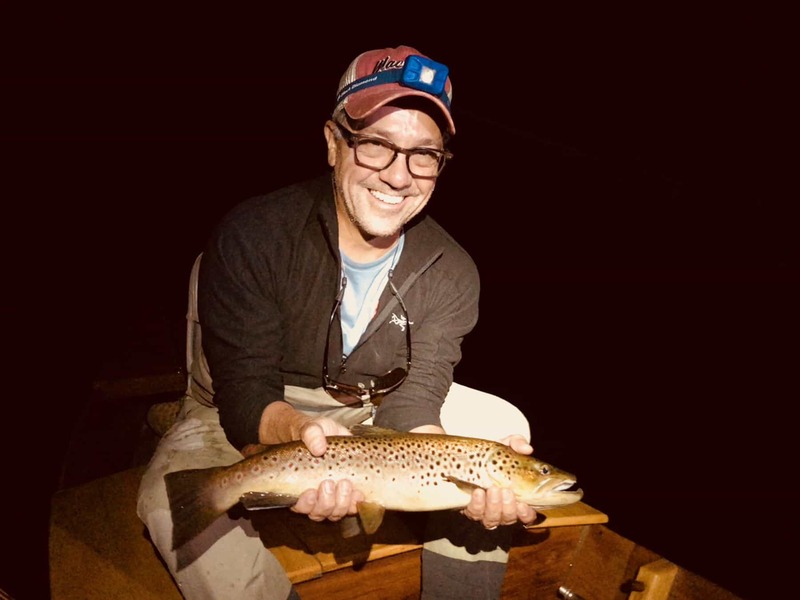 But in the deepest, darkest turn in the river, as the mouse swung away from the bubble line, a great big trout — far larger than I could hope for — bit that mouse and was connected for two or three seconds. Enough for Holden to feel the power of the night. Enough to leave a row of trout teeth in the foam back of the fly. Enough for me to mark the location very carefully for a later date. “You got your first toothmarks!” I told him, illuminating his fly in the my light. And this notion has stuck with him. As of now all the rivers are pretty clear, as they often are this time of year. On these sunny September days a dry and dropper rig is tough to beat, as are suspension nymph rigs and tight line nymph rigs. We can help you with these rigs and tactics in the shop, and you’ll be surprised how well the river is fishing when you start nymphing it, especially in the late mornings and early afternoons. Fluorocarbon, half a box of dries, half of nymphs (some tungsten, some brass, some sans beadheads), a few indicators, a few split shot, and a euro leader make for light traveling and fun, technical fishing. Stay tuned to see how much rain we get, but this looks like a splendid weekend to be on the river.